Back in January I went for a well deserved massage where I got talking to the therapist who told me about an ‘ idyllic Spanish yoga retreat ‘ happening in June. As an ayurvedic massage therapist this was an exciting opportunity to delve deeper into yoga as a sister practice to ayurveda. I’d always wanted to try a yoga retreat – and it was in Spain – so guaranteed sunshine! I was sold. Fast forward to conversation with partner who agreed that “a really healthy holiday in the sun” would be great. I quickly emailed the yoga teacher who was very helpful and provided me with loads of info. Soon we had booked our flights and were counting the days. By the time the retreat came around I was ready for a holiday! Although I had to remind myself that this holiday would be a very different experience to our usual getaways; two hours of meditation and yoga first thing in the morning and an hour and a half of yin style yoga in the evening. The accommodation would be in a ‘pod’ (i.e. posh yurt) with shared washing facilities, we would be sharing breakfast, lunch and dinner with a group of strangers, and there would be a slim to none chance of mobile reception, internet access and no TV – so pretty much cut off. As newbies to a retreat environment we were definitely pushing our comfort zones but we wanted to try something different and as a therapist I had a vested interest. We arrived at Malaga airport to meet with our group, an eclectic mix of singles, couples and families of different ages. We then met Bill (our cockney driver!) 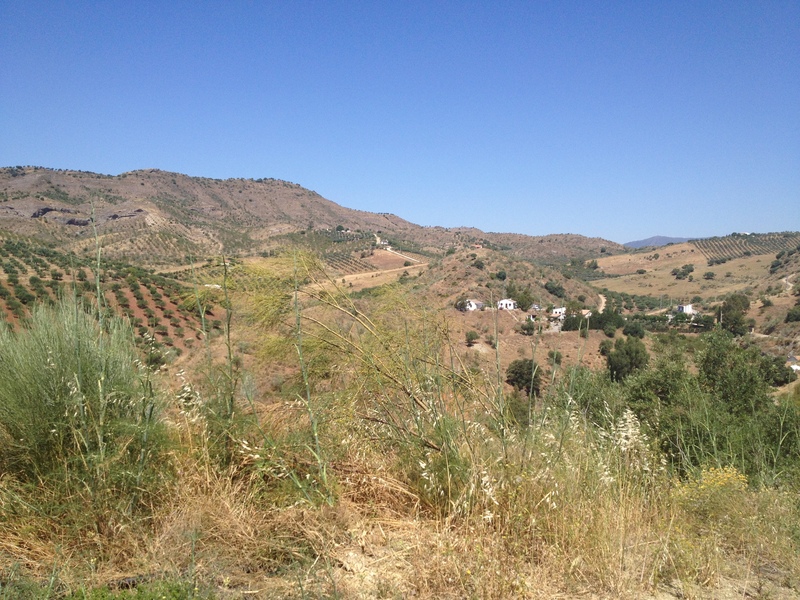 who took us out of central Malaga and then up into the Andalusian Mountains via a dusty track. As the signal bars on my phone dropped off one by one I started to feel liberated. Goodbye world! Valle De Vida is nestled in a secluded green valley about 30 minutes from Malaga airport. On arrival we were met by its owners and our cook for the week (oh and a menagerie of animals). The main focus of the retreat is an old Spanish villa which houses accommodation for guests, a yoga shala and is also where all meals are served. The pool area is not far from the villa and is surrounded by comfortable sun beds, hanging chairs and loungers for some serious chilling out. Close to the villa and dotted along the mountain are tipis, pods, geo domes and a bathroom block. There is also a steam room, sauna, treatment space and hydrotherapy pool. Between all these facilities are solar lights – super charged by the Spanish sun during the day so they provide lit pathways in the night. We had some friends in our pod – such as some large wispy looking spiders (I don’t mind these) and a couple of nervous geckos darting around (not so keen on these). For someone who isn’t the biggest fan of creepy crawlies I just had to get down with the wildlife – we were in a yurt in Spain after all. Going to meditation class each day for 7.45am was less of a challenge than I thought. It was group meditation – which I had never tried before – and involved sitting and walking. This was a great way to start a peaceful day and prepared us for the yoga that followed. Our yoga teacher focused on dynamic flow in the morning sessions so that even if we were sleepy to begin with; we truly felt revived after the lesson and ready for the day. Overlooking the valley and a five minute walk up a fairly steep hill stood a separate yoga shala to the one in the villa. This was a fabulous spot to practice yin yoga in the evenings. Unfortunately a few angry wasps did seem intent on joining in our practice but apart from that it did feel like a truly spiritual place. The view was simply stunning. The atmosphere of the retreat was very relaxed which worked well for me and my hubby – we were able to have the odd glass of vino tinto and the food was varied and plentiful. Unfortunately this meant that I returned having put weight on rather than loosing a few pounds – but we went for relaxation so a bit of weight gain is negligible! The days were really hot and between yoga sessions most people opted to relax by the pool and enjoy the sunshine. There was also an option to have holistic treatments if you wanted too. I opted for cranial osteopathy (something I’ve never tried before) and reflexology. I enjoyed both immensely; although being new to osteopathy I was slightly shocked at the cracks and crunches coming from my body as the osteopath worked his magic – but I felt amazing afterwards so it was worth the slightly disturbing noises. In the evenings we were serenaded by a friendly chorus of crickets as we sat around the rustic dining table enjoying chatter with our fellow retreat goers. As the sky became covered by a blanket of stars we would hit the sack for a peaceful sleep. The retreat gave me a fantastic sense of being grounded and connected with the earth. This awareness was enhanced every day by being out in nature, practising yoga and meditation, particularly walking meditation, and by having no technological distractions. The yoga sessions catered for beginner through to more advanced attendees and were taught in a very mindful way. The teaching was clear and relaxed which made the sessions very enjoyable. It was a fantastic to meet other people on the retreat from who were from all walks of life and share in their experience. My partner and I actually got a free Tai Chi lesson as one of the retreat attendees was happy to share his extensive knowledge of the martial art with us. We returned to Cardiff feeling very relaxed and rejuvenated and I would highly recommend our retreat experience. Unfortunately two days after we returned my partner was involved in a mountain biking accident and now has a fractured arm, nose, is missing a tooth and has stitches in his lip and chin. Thankfully he is on the mend ……but he will be giving yoga classes a miss for a while. At least we still have our fantastic holiday memories…..and a stowaway cricket who appears to have hitched a ride in our suitcase! Previous Post What do you desire? Thanks Jo – it was! I highly recommend. Thanks for following. What a fabulous experience, everything looks so peaceful and beautiful. Bet you did’nt want leave. You must have had tremendous solace from the whole experience. This won’t be the last time you’ll go to a retreat I reckon. I hope there will be more to come in the future – it really does have a rejuvenating effect! Looks amazing! 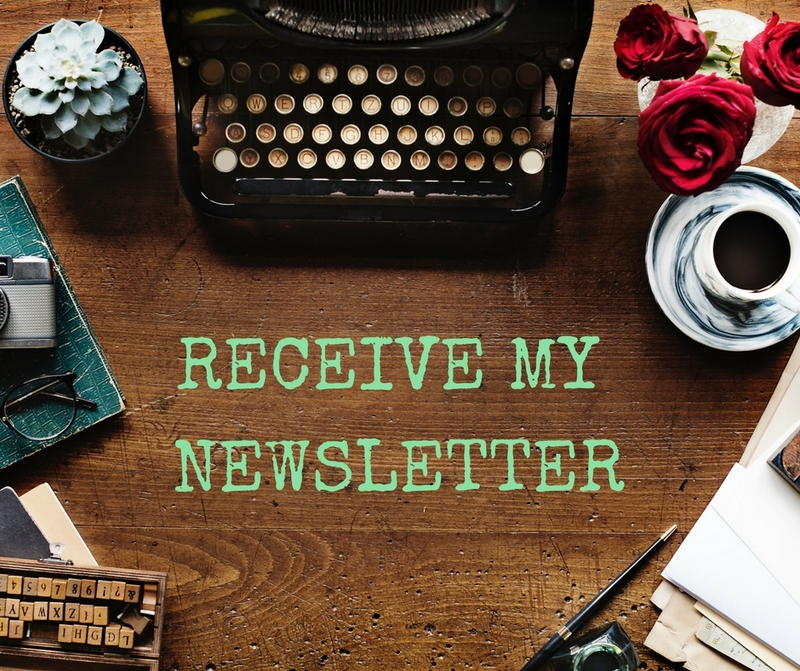 Do you have the details of the teacher you could send me?